My house is also done by Benson.. He managed to finish the Renovation within 2 months and I feel my house is like the hotel when I woke up or bath in toilet... It feels real like hotel.. My wife is also satisfied and we would rate him A Star for his interior designs and his services.Even after our house renovation, whenever we sms him, he will settle for me. We would recommended Benson Lo from Benz Design Studio to all house owners. He is able to give you new ideas after listen to your theme.Very smooth renovation process by him and his amazing team. My house was done up by Benson Lo from Benz Design Studio. Benson Lo is indeed a talented id with many interior designs ideas. During our renovation process, he have guide us and educate us on the dos & don't. He would also recommend the suitable material for our house reno. We all like him and he is very well verse on the interior design concepts. We would actually highly recommended Benson Lo from Benz Design Studio to all house owners. We would rate him A for his interior designs and his services. No wonder Benson Lo is very popular in the Singapore reno vation web pages. He is indeed highly recommended id in the reno forums in Singapore. i have meet up with Benson Lo yesterday at his office yesterday, He is a young chap who could really give you alot of design concept. Im very surpraise that he could really propose and draw out many design concept on the spot that i never seen before. through out the search of the id process, he is quite different from among all. He is so well verse and i actually would take my hats of him. The minute i step onto Benzdesign Studio and meet up with Benson Lo on that day,I shake hands and i left him a remark saying that every ids i met claimed to be a design consultant, home stylish and bur bur bur... but till now i really have not met someone who is actually an id. All are contractors whom i met keep on claiming to be an id but are actually so call contractors. After Benson Lo heard this sentence, he just smile and told me to sit down and he would go to the photocopy machine and take out pieces of A3 size paper and he began our discussion. Benson Lo smile and said," have you met an real id before?" I was alarmed by him at that time. Our discussion seems to last more then hours. The design concept he propose is totally different from all the others, He would propse and use colour of laminate samples and soft furnishing to express the design theme and concept of my house layout. I was totally out of words. Benson Lo have made my whole house a centre of extraction. Every bedrooms, living room and even the kitchen area. I seem to be dreaming and wonder how he do it. I work as a property agent for years and i work with contractors and ids, none is as good as him. He also advise me to cut cost on certain things that need not to be spent. He said that he would draft out a quotation base on our discussion. I am amazed, i told him its ok , i will meet up with him sometime next week. While Benson Lo send me to the main door of his office, he smiled and ask me to take back my words as i said just now earlier on the minute i shake hands with him. We laugh together then i told him to give me a best price for my house quotation. What my friends said about Benson Lo is indeed true. He is so professional and he is so well verse in design concept. I really take my hats off him. I hope that Benson Lo will give me a good price for my house renovation quotation. I know that he is not the cheapest among all but he is worth paying. Hope to meet up with him to look onto my quotation before i sign up with him. I strongly recommend Benson Lo from Benzdesign Studio. I rate him A for his services. I too strongly recommended Benson Lo from Benzdesign Studio. I too rate him A for his interior designs and his services. He is also very highly recommeneded in the Singapore reno vation web pages. My id is also Benson Lo from Benz Design Studio. We too are pleased with his services. We will rate him A for his services and interior design for our house. 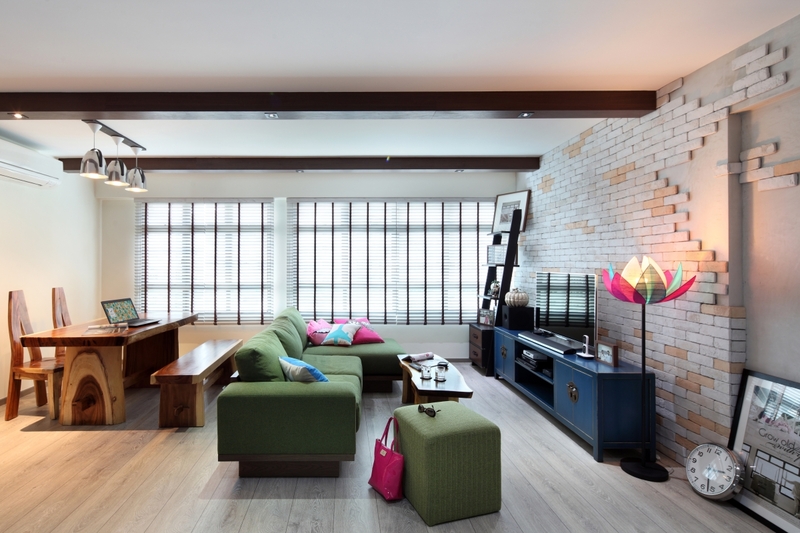 My house was done by by Benson Lo from Benz Design Studio. I will highly recommend him to everyone out there. He is indeed good. I and my wife love our house after the renovation. my id was also from Benz Design Studio but its not Raymond, it's Benson. My wife and i were all out to get him to revamp our unit and we waited for some time (actually we sourced around months before our key collection), so we have more than enough time to decide before engaging one. Eventually, the reviews were part of the reason i engaged Benson for the design and works, but it was during a relative's house warming that i first saw him after fixing an appt with him. He left a deep impression on me becuase he was rather hilarious and a very friendly chap. Most importantly, i was given a little of his time on the very same day too, he discussed and sketch some drawings for me. That was so kind of him. Somehow or rather, i was already convinced by his works as well as the 'real work' of my relative's place. Well done, Mr Benson and team, all of you had perform well. Actually, I must say that my family and I are more than satisfied. The experience right from the initial meeting till the end of the reno process was a very pleasant one. Like most home owners, we consulted a few IDs before deciding on Benz Design Studio. The differentiating factor was that Raymond was very sincere and appeared genuinely understanding our needs. No hard-selling, no idea pushing. In fact, he provided many practical suggestions on the renovation and useful tips to save money, which none of the other IDs that we approached had done. Quotation from Benz Design was also very reasonable. Not only was there no hidden cost, Raymond had in fact done many small favours for us without charge. Thanks again, Raymond! There were some minor hiccups here and there on the reno process, but Raymond has always been very helpful in finding solutions to those issues. Also, I must mention that my family and I are quite particular on certain things (specific measurements, atypical requests) and Raymond has been very patient and accommodative, even for times when we flip-flopped. During the renovation, Raymond would also message us photos of the renovation, keeping us posted on the reno process, thereby giving us assurance of the progress. Reno was fast, handover was on time, workmanship is good. So all in all, a truly satisfied customer of Benz Design Studio. For new home owners out there, I would strongly recommend Raymond of Benz Design Studio. There might be a need to wait given strong demand, but the wait is worthwhile! Renovation is major milestone for most new home-owners and you would definitely want to select one for a smooth-sailing process. After reading the reviews and the pics, we decided to call their office just to check it out. Since the most of the reviews were about Benson, we asked for him but as his schedule were full till July, so we meet up with Raymond instead. Their office located at a HDB shophouse at Ang Moe Kio and needless to say we do not have much expectation as most of the ID showrooms we have visited are all bigger or located at more crowded places. However after talking to him for about 2 hours, we know our flat will be in good hands. How and why? Cause we are looking for an ID with good design concept and field experience. After our experience talking to different IDs, I can ensure you that the design portfolios that they show you are more or less the same. They have files and files of renovated flats in 3D designs and pictures. If you have keen eyes, you will even realize some of them, different companies, have a few duplicated pictures, not sure if the IDs download them online or bring them over when they change companies. Being in the marine architect industry with similar construction concept, my husband likes to test their field knowledge by asking the products’ and process details. Most of them are just keen to close the deal by agreeing to what we want, in most case, these IDs do not really about the products and how the works are being done or even if they can be done. I bet they don’t get their hands dirty but just sit behind the PC, drawing 3D layout and pass them to workers. Raymond and the team are different in that area. He highlighted to us what are the issues we need to lookout for and what might not be feasible, sharing us his experience. He is able to draw out the layout by hand while we discuss and explain the details step by step. Now next question most of you will be burning to ask will be, how about the price? For BeNzDesign, they do not have packages like most IDs companies are offering in the market now. However from our experience, there is not a single package that we do not need to top up and alter. I believe it’s the case for most of you, because not one flat renovation is identical to another so how can these packages work for all? Either we compromise what we want by sticking to the package or top up to customize what we want. After the impressive meeting with Raymond, we were a bit worried that the quotation will be high but surprisingly it is below what most ID companies have offered for the same items and design. Without any doubt or second thoughts, we engaged them us the contractor for our flat. Let me move on to the actual renovation process. Due to our tight schedule, Raymond gives us a project timeline of 3 weeks. Anyone who has been sourcing around will know that most the IDs need 6 to 8 weeks for resale 3rooms and above. Now we are already in the 2nd week of renovation and the team has been efficient and effective. They do not compromise the quality due to the short timeline and instead work on Sunday and late in the evening to keep up and maintain good workmanship. We been checking on the renovation status now and then after work, In addition, Raymond will send us the renovation pictures when he is at the flat. Now, ask around how many of the contractors do that for you? You can guess from my review that we are not really easy customers to deal with. From the day we have engage Raymond, we keep changing our mind, adding jobscope, deducting items out, altering layout, questioning this and that. Even when we are buying furnitures and home accessories, we will MSM him the pic and ask him for advice. Not once did Raymond give us an attitude or make things difficult for us. He has been prompt in returning my msgs/calls, keeping his cheerful personality and gives us advice throughout the way. During our meetings in the showroom, if Benson is around he will also chip in his thoughts as well. The whole team definitely has a good team work and workmanship. I decided to put in effort in composing such a lengthy review cause I been through this tiring sourcing IDs routine and have hope during that time others will give us a more detail review. Also this is my way of saying thanks to Raymond, Benson and the team by recommending them. I will also upload our renovation pictures stage by stage to give a better picture. For those who like to look for Raymond, do contact him at 9168 7757, or the beNzddesigN office at 6554 4419. enquiries@benzdeconceptz,com. www,benzdeconceptz,com. Address 157 Ang Mo Kio Ave 4 #01-572 S’560157. Their good efficacy toward the renovation process made my family and I appreciated all that they have provided, their work was always done on time at a very high standard of quality despite minor hiccups which were settled in the midst of the whole process.